Regardless of where you get your marijuana, and whatever your preferred form of consumption is, odds are it comes with its own name. Maybe it’s Jack Herrer; maybe it’s OG Kush; or maybe it’s something you’ve never even heard of before—or heard of since you bought that last eighth. Yet strain names have been around for at least 50 years now—far before you tried your first joint, most likely—and have a storied history not unlike a tale any stoner would tell. 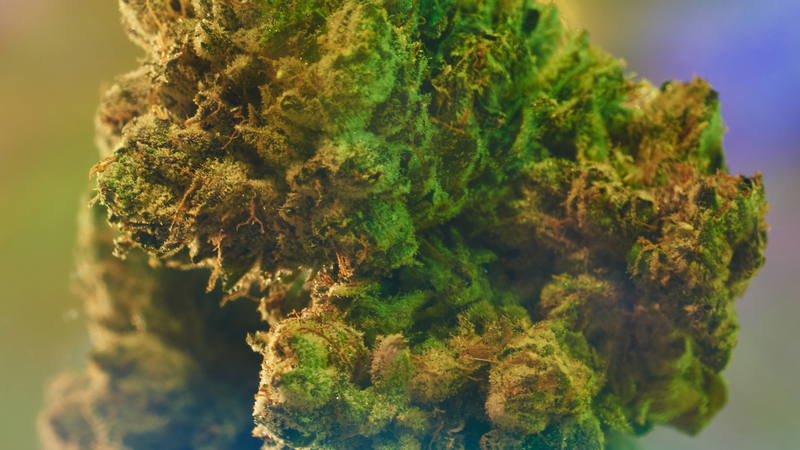 With dozens of different cannabis strains available, the naming conventions aren’t always easily understood—here’s everything you need to know about these monikers, including how they’re decided upon, what they stand for, and if they really mean anything at all. If you’ve heard of six different kinds of Kush tossed around, know that they’re probably not true cannabis strains. “There are really only ten to 15 true strains of cannabis,” says Amaya. ”From there, many strains are crossbreeds of these original strains, and often include the root name with another root name, or include an additional adjective to describe some of its unique characteristics.” So, when you cross a Granddaddy Purple plant with a Haze, you get Purple Haze. Let’s say you pick up a strain called Bubblegum Kush. “That’s really just a form of Bubba Kush,” Amaya adds, but the sweet-smelling and -tasting characteristics make it easy to reclassify as the former. Similar logic applies to the commonly known strain Sour Diesel. “Sour Diesel is really just Diesel, which is a sativa strain, but the characteristics of the grow create a sour and orange-like smell,” Amaya explains. Another way of dubbing strains is to name it after the area in which the bud was grown—say, an N.Y. Diesel rather than simply Diesel—or in homage to someone specifically. Truthfully, it can often get silly. “Step into any dispensary and you'll be met with a whole barrage of names ranging from pop culture references, like a Bob Saget, to downright nonsense—Querkle, for instance,” says Morrison.